Voice was everywhere at CES. Amazon Alexa was vying for the top story of CES for the second straight year. Google Assistant came with a big game, lots of announcements and an unavoidable presence. Other voice assistants providers ranging from Samsung’s Bixby and Nuance’s Nina to SoundHound’s Hound were also prominently featured. Consumer electronics, cars, smart glasses and a whole lot of robots all made a big deal about voice interaction. What technology vendor won CES this year? When you add up the announcements and the floor energy, Amazon and Google played to nearly a tie with Google getting a slight edge. That is impressive for Google given that it typically doesn’t show up to CES and was playing catch up to Alexa all year. The reason for Google’s great leap forward wasn’t so much around its 2017 innovation, but instead about how the company leveraged its past success. Hundreds of the products that promoted Google Assistant integration were already running on Android OS. The investment Google made in Android paid handsome dividends in mobile software and search revenue. It is paying new dividends in getting Google Assistant to the masses. Distribution may seem like an odd storyline, but here is the rationale. Every marketing strategy has distribution as a key element. This typically means where consumers can purchase, use or experience your product. Voice assistants have this same requirement. Initially, this was about the smart speaker produced by the company to house the voice assistant. That first gave us Amazon Echo and Google Home. CES 2018 illustrated how that distribution has expanded tremendously. Nearly every electronic device at CES demonstrated voice assistant integration. This is great news for Amazon and Google. Alexa and Google Assistant will achieve near ubiquitous access in physical spaces even where no Echo or Home product is present. 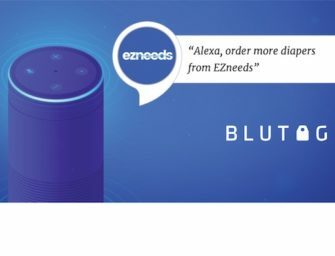 Voice Assistant distribution has achieved critical mass for these two companies and will no longer be dependent on smart speaker sales for growth in usage. By the time IFA (N.B. think of it as CES in Europe) arrived in August 2017, every wireless speaker manufacturer had determined their products needed voice assistant access to be successful. CES has expanded on that theme. Certainly every new, high-end television manufacturer included voice control. Granted, voice interaction has been available for years in many televisions. However, CES 2018 televisions all walked down the Google Assistant or Alexa path, or embraced both. Voice also broke out from residence in traditional consumer electronics devices. Voice capabilities were also on display in the bathroom, in lighting, in white good appliances. Do you really need a voice interaction for your mirror, to flush the toilet or to start the washing machine? Well, no. Then again, you don’t need voice assistants to find out the weather or start the radio either. These new applications for voice range from simple conveniences to more sophisticated capabilities such as the HiMirror which analyzes your skin condition. The CES 2018 lesson for the home is that voice assistants won’t be confined to smart speakers. Driving by its nature requires attention of your eyes and hands. Although the driverless car future was on display at CES this year, everyone recognizes that manual driving will be the norm for many years to come. The hands free, eyes free nature of voice assistants represent the perfect complement to driving. Toyota, Hyundai, Panasonic, Nuance and Android Auto all took steps toward a more voice-oriented automobile cockpit. Voice interaction looks to be a standard option in cars going forward as opposed to a premium feature. Voice assistant integration is no longer a novelty. CES 2018 made that clear. Consumers have purchased smart speakers in large numbers and will be able to extend usage of voice assistants in 2018 to their household fixtures and cars. Don’t be surprised if the big story of CES 2019 is ubiquitous voice assistant access in the office and other shared spaces. All of this voice momentum is accruing benefits to two companies today: Amazon and Google. Apple, Facebook and Microsoft all aspire to have a significant role in voice era. The future of voice adoption is more clear so these companies can focus efforts on what is already working. However, they have more work to do as Alexa and Google Assistant continue to sprint ahead at a faster pace. In a Code Conference interview in 2016, Jeff Bezos famously said that voice assistants were in the first inning and likely the first batter of the game. For those of you not familiar with baseball, this reflects the very beginning of the competition. CES 2018 officially concludes the first inning. Amazon and Google have taken the field and already scored a number of runs. Apple, Facebook and Microsoft still have some work to do to get on the field of play.